Periodontal (Gum) disease is one of the most common ailments know to man. It has been estimated that over 80% of all adults have periodontal disease in one of it’s stages. It is a chronic, insidious, slow moving infection that causes the destruction of the support tissues around the tooth. At your initial comprehensive examination, you will be checked for this, and our wellness program will be explained to you. We will check to see whether or not the factors that cause this disease are present or not, and if so, to what degree. The secret to a healthy future is removal of 100% of all bacterial plaque from all surfaces of all the teeth at least once in every 24 hour period of time. This requires involvement/participation from the patient. Medical/Dental science is discovering more and more links between gum disease and systemic medical diseases (see the chart on the Hygiene Services page), so getting treatment for gum disease is about more than just keeping your teeth….it can save your life! If you would like to learn more about Periodontal (Gum) disease, please visit PeriolaseDentist.net. Please take the time to learn more about treating gum disease more comfortably with the periodontal laser by clicking on the LANAP™ button. We have several interesting videos there that will explain this amazing new approach to treating periodontal disease. Whoopi Goldberg shares her personal story about her gums and her health on The View. She has learned that the mouth is not separate from the rest of your body, and that infection in one part of the body can certainly cause problems in other parts of the body. 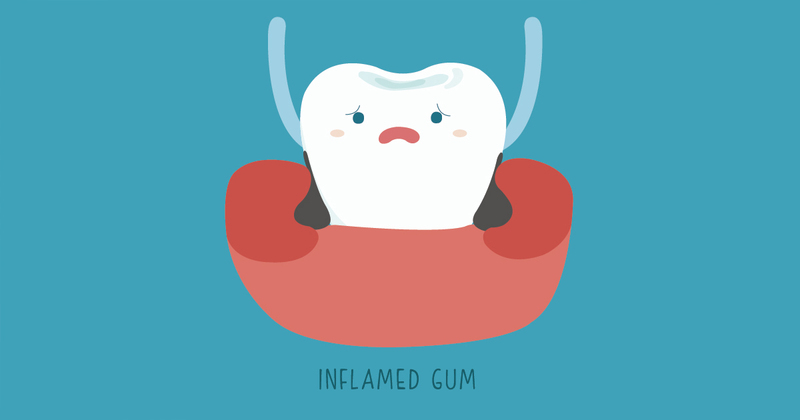 Dr. Maria Emanuel Ryan explains how periodontal infection and inflammation can cause problems in other parts of the body.